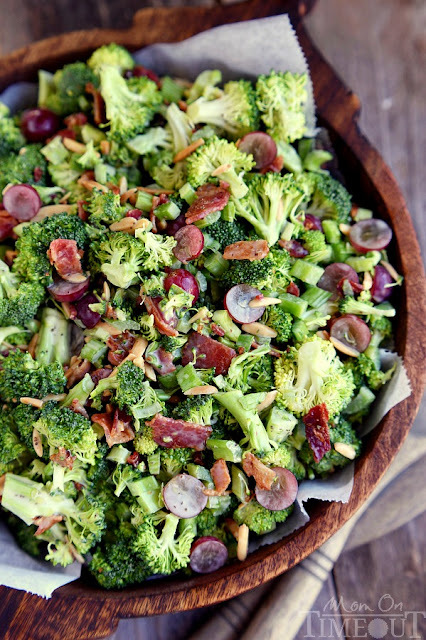 This Best Ever Broccoli Salad recipe is bursting with flavor! Packed full of broccoli, bacon, grapes, almonds and more – every bite is delicious! This salad is perfect year-round but is especially well-received at summer gatherings, picnics, potlucks, barbecues and more. But it’s also a staple for us during the holidays. What can I say? We just LOVE this broccoli salad! If you love broccoli salad, I urge you to give this one a try! I know you’ll love it just as much as I do!